Imagine painting with the whole world as your canvas. Yes! You can virtually paint with Google's Tilt Brush app, where you can create life-size paintings using VR lens and a console. 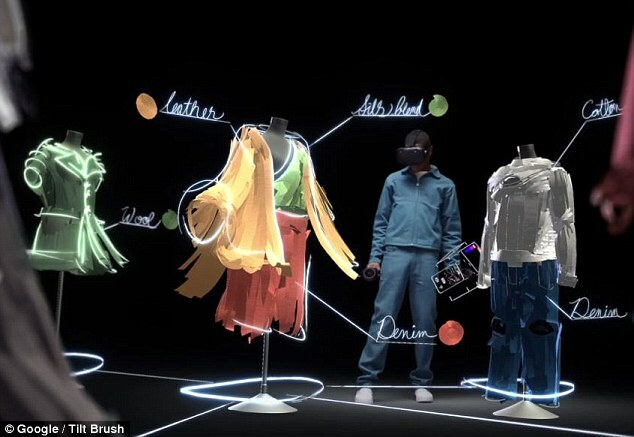 WIth this technology, the only limitation is your imagination.Google has launched the Tilt brush app where you can virtually create life size paintings at a wave of the hand. You can create rooms where you draw in 3D with another avatar. It also has real time voice chat and image capture feature for sharing your work. For the past few weeks, the world seeing more VR technology applications and maybe for the following weeks, VR will dominate more inudstry.Want to know more about this awesome device? Follow this Link!